Here’s a really nice table centerpiece we did recently for a customer’s event. It’s about a foot high, and each of the three sides is six inches wide. We shipped it flat to the customer, scored for folding and with a piece of double sided tape on the flap for easy assembly. The look is superb! We are a large format specialty printing company, and this is really not that big a piece. However, it really needed to be printed on a heavy card stock, and our flatbed printing technology was perfect. We printed directly to a bright white 50 point stock and were very pleased with the results. We printed 75 of them at a cost of about $8 each. If you are doing a fancy event and need a table centerpiece, here’s an elegant and easy way to do it! 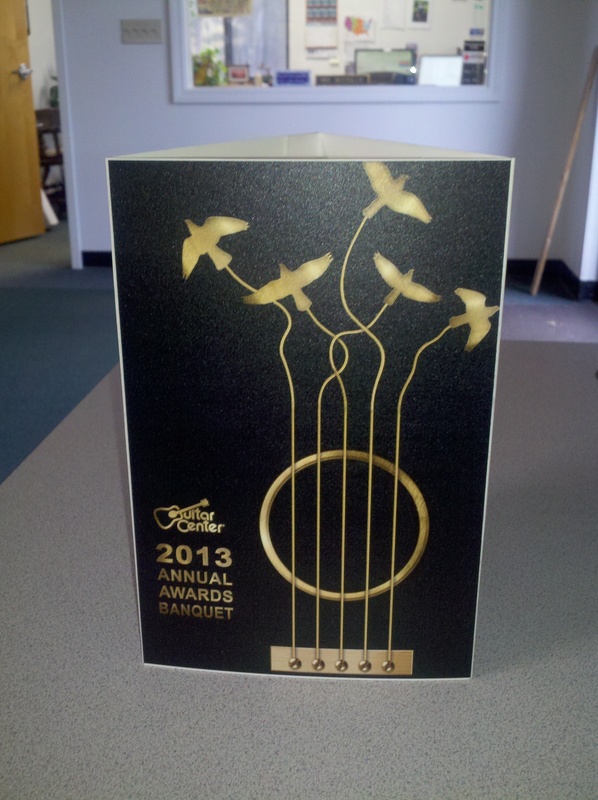 This entry was posted in Flatbed printing and tagged event center piece, table centerpiece. Bookmark the permalink.